This entry is part 6 of 11 in the series Creating My Smart Home. 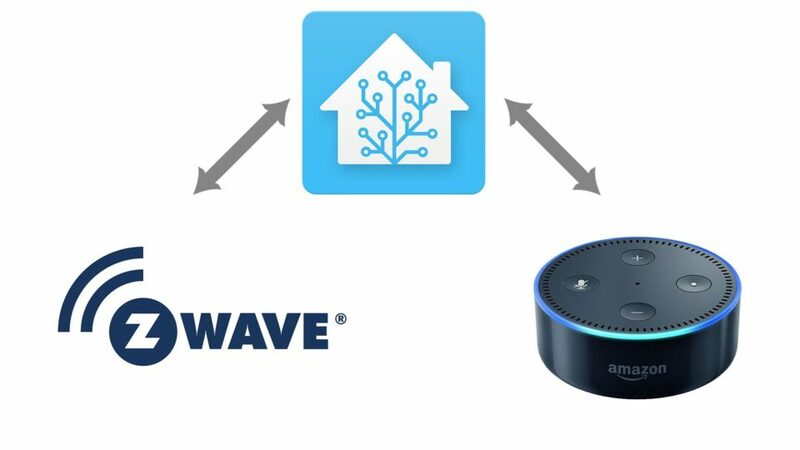 Now that I have several Z-Wave light switches set up in Home Assistant, I wanted to be able to control them with my Alexa devices. Fortunately Home Assistant has an Emulated Hue Bridge component that mimics an actual Philips Hue Bridge. With this enabled and configured, I can “trick” my Alexa devices into recognizing Home Assistant lights, switches, and other entities as Hue lights. I added the Emulated Hue Bridge component to my configuration.yaml file and configured it so that I have to explicitly add specific lights, switches, etc. to be exposed as Hue lights. This way I have more control over what entities are available to Alexa and I don’t run into a potential issue with having more devices than Alexa can support (which apparently can prevent Alexa from seeing any of them). With the component added, I then had to update the customize settings in the configuration.yaml file and add each entity that I wanted to expose with the emulated_hue property set to true. While I was at it, I also updated the icons for a few of the light switches to better indicate what they control in the web UI and tweaked their friendly_name settings. I checked that the configuration was valid, restarted Home Assistant, then used the Alexa app to search for smart home devices. It detected my “Hue lights” right away and then I was able to turn them on or off with my voice. Devices that are enabled with the Emulated Hue Bridge can be detected by the Amazon Alexa app for voice control. One thing I found interesting is that all of the Emulated Hue devices appear to Alexa as dimmable bulbs, but the actual Z-Wave switches are not dimmable. 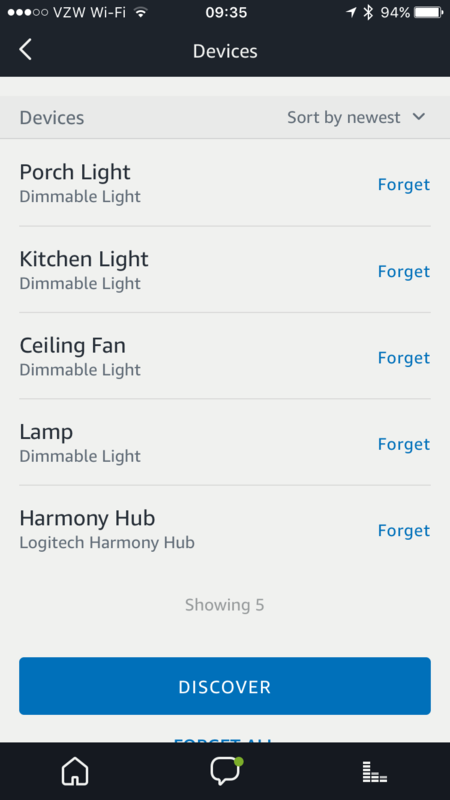 This makes sense because all Hue bulbs are dimmable, but the dimming capabilities, such as “Alexa, set the kitchen light to 40%” simply result in the light turning on if it was off, or a “kitchen light isn’t responding” error if it was already on. The Z-Wave fan switch I have does support three speeds–low, medium, and high–and I can control it by setting the “brightness” with Alexa to different percentages that Home Assistant appears to normalize into the three speeds. I haven’t tested all percentage values; I typically say 20% for low, 50% for medium, and 100% for high and it works nicely. In the future I plan on setting up “virtual” switches with the Emulated Hue Bridge so I can turn “on/off” scripts and automations with my voice. I could eventually say something like “Alexa, turn on vacation mode” that will adjust the thermostat and randomly turn on/off interior lights while we’re gone, for example.